A NON-for-profit organisation located in Bowen has fallen prey to alleged brigands who made off with more than 1500 recyclable cans, which are believed to have been exchanged for cash. 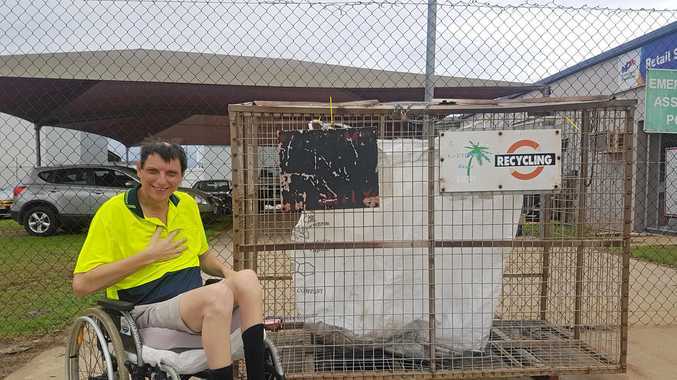 It is the second time in several weeks that the Endeavour Foundation on George St has had recycled goods pinched from a crate at the front of the store. The thefts follow the introduction of the State Government's Container for Cash scheme that allows bottles and cans to be traded in for money. Store supervisor Maryanne Tetley said the store is losing out on funds, as well as an important job for local disability worker Peter Gordon who comes in to crush the cans every week. "That's the only job that he can do at the moment because of the effect his cerebral palsy has on his hands," she said. "Now I'm giving him other jobs which he doesn't like and he's really frustrated." Ms Tetley said the store trades cans at Pilchers Mitre 10, which works in conjunction with the state to facilitate the container for cash scheme. She said the store has been forced to put a lock on the crate, which was half full when it was raided. "We just want to raise awareness to let people know that cans are actually getting stolen," she said. "We are losing out on heaps, we've made over $400 and now we can't even get that, so we are losing out on funds and work for Peter." Ms Tetley said people used to donate their cans to the store, but since the scheme has been rolled out the donations have become fewer. In a statement Pilchers Mitre 10 said any customer who returns a bulk quantity of 1,500 containers or more is required to produce identification and sign a Statutory Declaration about where the containers were sourced and if sourced legitimately. 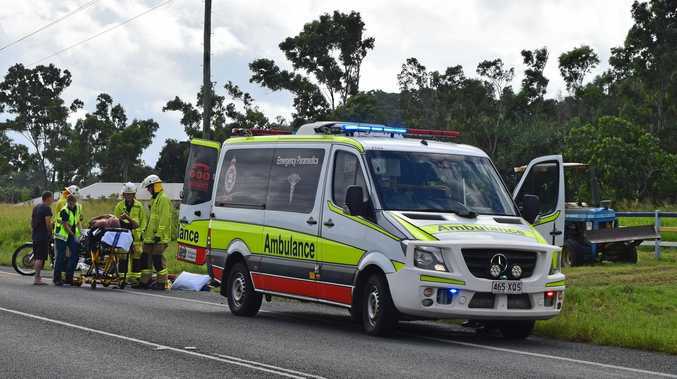 "We are trying to do something for the community, and everyone is participating for the right reasons, so it's disappointing that these people are out there," Pilchers Mitre 10 director Stephen Pilcher said. Ms Tetley said Peter used to crush five buckets of cans a day and the thefts have come as a real disappointment. She said if anyone wants to donate recyclables to the Endeavour Foundation, they could do so on Mondays, Tuesdays, and Thursdays at 48 George St, Bowen.